If you are looking for some action and desiring some real battle in your life, then your wait has come to an end. You can get all this in your Android Device now with the help of best action games available on Google play. Now check out these Action Pack Games available for any of your android device now. If you want to get in Alien World and want to beat those creatures just like Tom Cruise does in real movie, then this Android App Game is designed only for you. You device will no longer be a simple calling device. Now it will act just like War Machine. Although this game is shorter while playing but at the same time packed with storms of bullets, great explosions and life thrilling actions. So if you want to make your sure shot win over aliens, and then go get this game for your Smartphone. No one forgets his/ her all time favorite childhood super hero Spiderman. And now if you are still in search for that Spiderman comic’s aura, then Amazing Spiderman 2 will be a good substitute for it. The game will reveal the time where spidy tried to keep New York city safe from all devils like Kraven and Venam. You will love to handle the Spiderman hanging from building to building and crawling on his palms. The graphics are as clear as of Game Consoles. Spiderman Fans will definitely love to install this Android game in their device. Modern Combat 5 android game is inspired by army containing the best shooting action series in it. Rather than simple players, there is a war between the soldiers and their enemies which makes this game more thrilling to play and watch. Modern Combat 5 closely resembles with Call of Duty. Voice Chat feature for the coordination among the team is a great add – on feature. This game need full expertise and skills if you want to make your name entered on top in leader board. If you are fond of Zombies oriented games/movies or TV Series then you will love to download Dead Trigger 2 based on Zombie storyline. Ample of Zombie Killing weapons are available in this game. Ultimate aim of this game is to make World a better place to live by killing zombies. Competitive arena is present where you can compete with players available all around the world to be the best Zombie Killer. Actual this is the war in opposition to the dead army of zombies. This game consisted of 150 Game missions which will thrill you and make you to survive in Hitman Universe on Google Play. Getting to a new level, will make game more interesting to watch and play. Enormous secrets and ample number of add-ons like rifles to make your secret levels easier to achieve and also helps this to stand out among others. 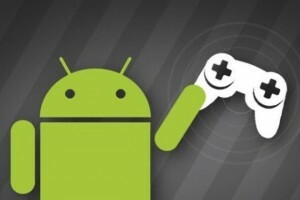 So get these Action Games for your Android Devices and Happy Gaming!